Legislation and regulations often impose limits on the packaging used for your products, so it is often beneficial to take them into consideration from the very first meeting. The transport of hazardous materials is subject to strict legal requirements, such as the UN certification for lithium ion batteries that went into effect in early 2016. Occupational health and safety regulations may also limit the maximum weight that your package can hold. In many cases, an aluminium box provides an excellent solution to these problems. Each transport sector is subject to its own regulations: ADR for road transport, the RID for rail transport, IMO for water transport and IATA regulations for air transport. Faes Cases is intimately acquainted with all of these regulations, and has the knowledge in-house needed to develop compliant packaging solutions. 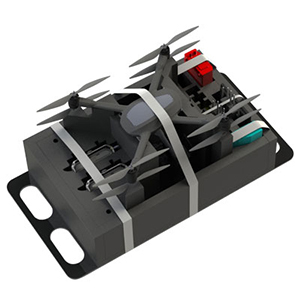 The transport of hazardous materials is a particularly hot topic at the moment, so Faes Cases has developed the UN-approved and certified packaging for lithium ion batteries and hazardous fluids. Workers should be able to reach retirement age safe and healthy, so the Netherlands has enacted the Working Conditions Act (Arbowet) to protect employees from occupational hazards. This also includes regulations that apply to packaging, such as weight limits, the use of handles, ergonomics, and so on. 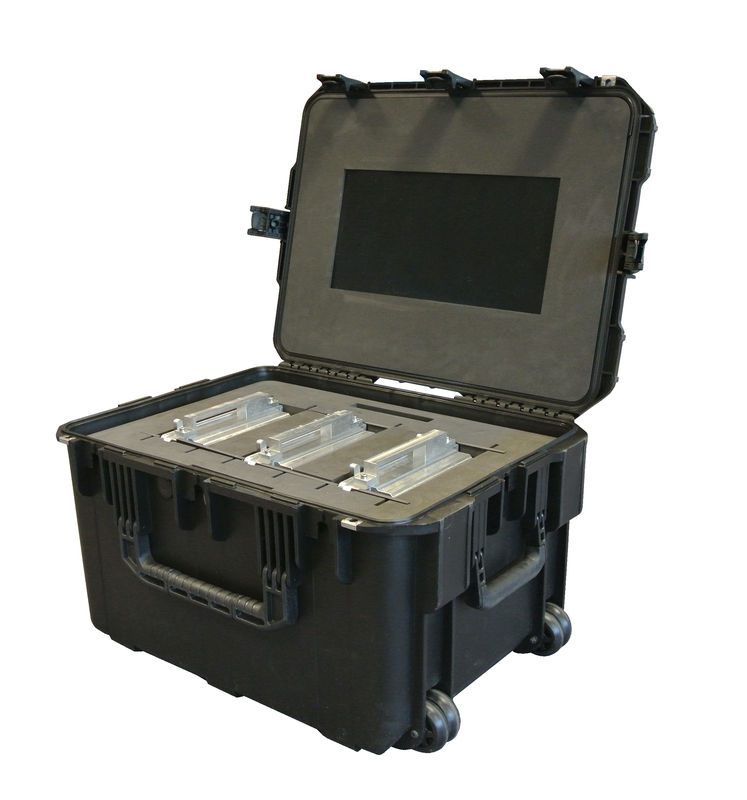 Faes Cases is a packaging partner for a variety of military organisations. Our years of experience in the field mean that Faes Cases is thoroughly familiar with all of the military regulations pertaining to packaging, including Mil-specs (American military standards) or STANAG standards (Standard Allied NATO Agreements). Closer to home, we are also intimately familiar with Dutch military specifications and the German Technische Leitung standards. If systems integration of the products is necessary within the packaging, Faes Cases can provide the packaging with CE certification. The necessary documentation and user manuals will be provided in consultation with the end user. ISTA inspection services test your products based on the ISTA norms, in order to prove to transporters that your packaging meets the applicable quality standards, and to offer better protection than your competitors who do not have Transit Tested seals of approval. These tests include mechanical tests (falling, impact, overturning, tumble tests, transport vibrations), climatological tests (humidity and temperature) and safety tests (compression and stability). The measures required for certification prevent the spread of live pests through the transporting of wood or wooden packaging. Shipments with wood or wooden packaging that do not bear the ISPM 15 seal of approval may be held at the border, returned to the sender, or even destroyed. ISPM 15 states which products must be treated, the approved treatment methods, and the requirements for applying markings to these products. 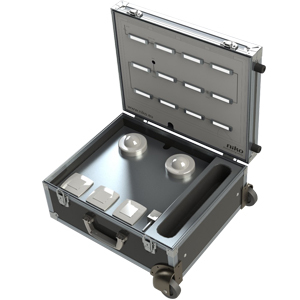 As Faes Cases often installs electric components in its cases and boxes, these standards are vital, especially to ensure that the packaging solutions can keep out dust and water. The IP safety class is a standard for electrical equipment that indicates the level of safety for the individual device: the degree to which the device or housing can withstand damage or protect the user from harm. If you have a packaging challenge that requires detailed knowledge of standards and regulations, please feel free to contact us!